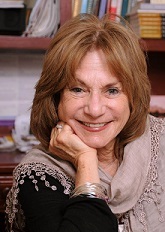 Reflections on September 11th – Judith Ruskay Rabinor, Phd. Living in New York amidst the flickering memorial candles, flowers, and American flags, ever-present reminders that terrorism continues to lurk, I am touched by a spiritual presence that so often accompanies tragedy. So many of our professional colleagues here and elsewhere have reached out to help those in need. More than ever before, I feel proud to be a therapist. Because stories heal, let me share one of mine. Join me in a midtown Manhattan office, one of those hardest hit by the World Trade Center disaster. I am part of a group of volunteers (I.C.P. Volunteer Transitional Crisis Counseling) situated in a company that has offices in this midtown space and, prior to 9-11, had offices in the World Trade Center as well. Thousands of company employees were working in Tower I when the planes hit. The Twin Towers. Several hundred of those people are gone. Many of those employed here in this midtown office witnessed the demise of the Twin Towers from their office windows on the morning of September 11th. Almost all had friends and colleagues at the downtown location. New York City was virtually shut down for the week following 9-11. The following week, the survivors from this company who had been in Tower I were relocated to this midtown location. Virtually all of the employees had had to cope with multiple stressors: daily funerals, grieving families, the loss of long-time friends, colleagues and co-workers, the potential realization that more losses were pouring in addition to the discomfort of relocation and crowded conditions. It is in this context that I meet 43 year old Rene, who had been identified by a colleague as needing help. Rene had not been back to work since September 11th. Now, 13 days later she has returned. Although she is back at her desk, she cannot concentrate and feels dizzy, weak and weary. With two cups of coffee and a bagel in hand, I knock on Rene’s office door, introduce myself and ask permission to come in. With an apathetic nod, Rene lifts her head from her desk and begins to talk. In a shaky voice she recalls the details of September 11th. Over the next few weeks, we met informally several times. She began keeping a journal to help her through sleepless nights. In one meeting she talked about her father-in-law’s suicide: six years earlier he had jumped from the sixth story of his office building following a business failure. IN another she recalled that at age three she had mysteriously fallen ill and almost died after a neighbor’s house had been a victim of arson. “I’ve been through a lot,” she realized as filed through her unmetabolized grief evoked in this tragedy. Through tears she talked about what kept her going: 14 year old Todd and 15 year old Annie, whose Sweet 16 was scheduled for October 11th. Soon after she invited Maria’s husband to her home for dinner. “I never thought about how much I have survived–how strong I really am,” she said as we were saying goodbye in what was to be our last meeting. I reached out and touched her arm, and she put her head on my shoulder. sometimes what is most needed when we face the darkest moments of life.